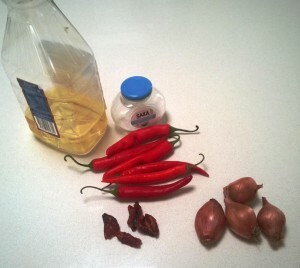 A low carb chilli paste, that we keep frozen to use in many dishes. 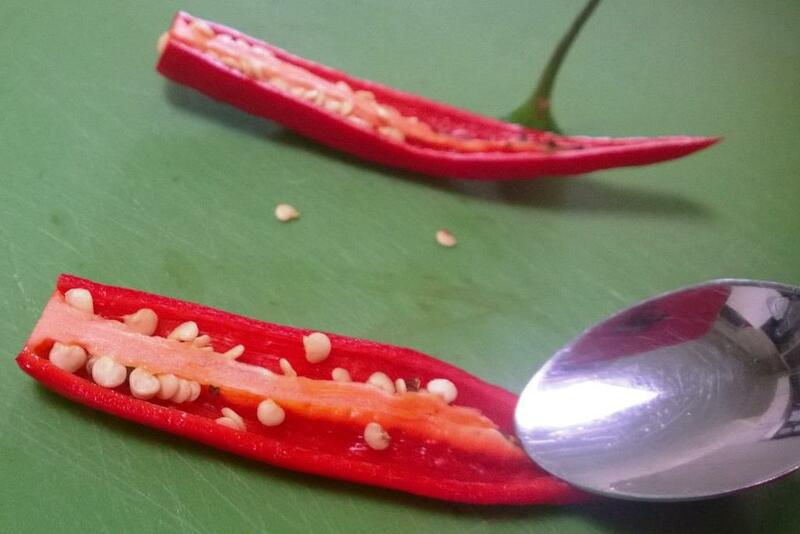 We make up batches using about 12 long red chillies at a time, but it is good to start with a small batch to ensure that the heat is right for you. We find that one serve (About 1 1/2 tsps) is the right heat for one of us. 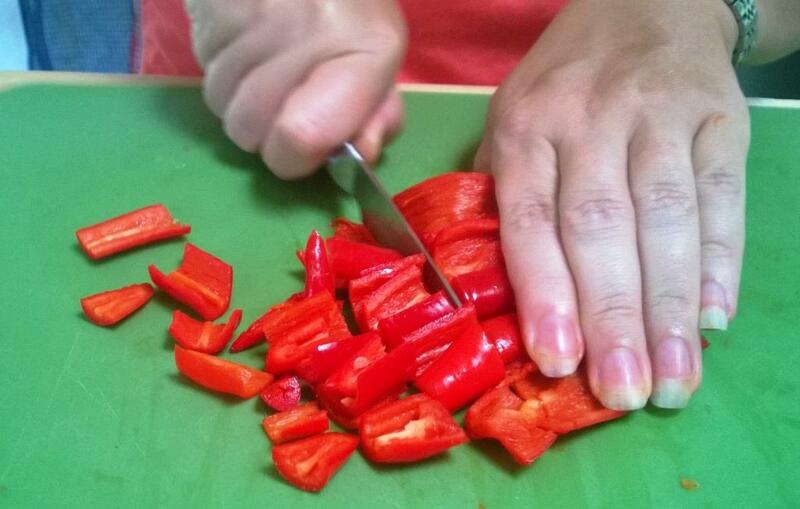 Since embracing the LCHF lifestyle, we have found that our savoury taste buds have blossomed and we are both loving adding some heat to our meals, especially Southern European and Asian style dishes. So here is the Easy way to make up a paste, freeze them and chilli is always ready to go. The pictures are actually from a bigger batch than the one in the recipe, we tried a small batch first to ensure that the heat from the chillies we chose was right for us. 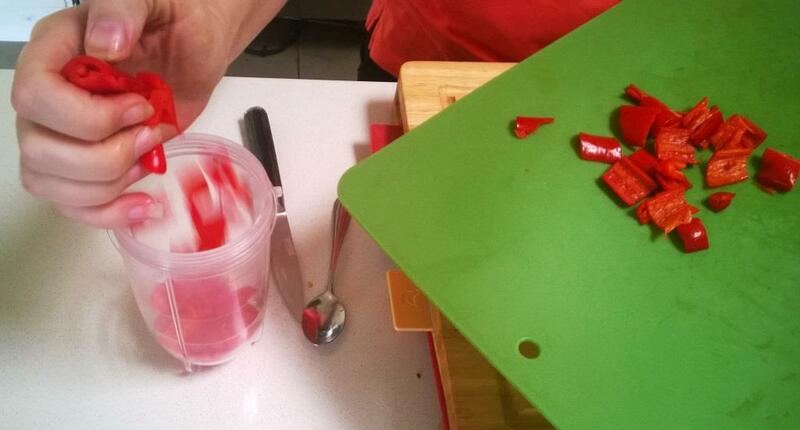 The ingredients are, long red chillies – or to your own taste, get 2 or 3 birdseyes for each long red if using them. 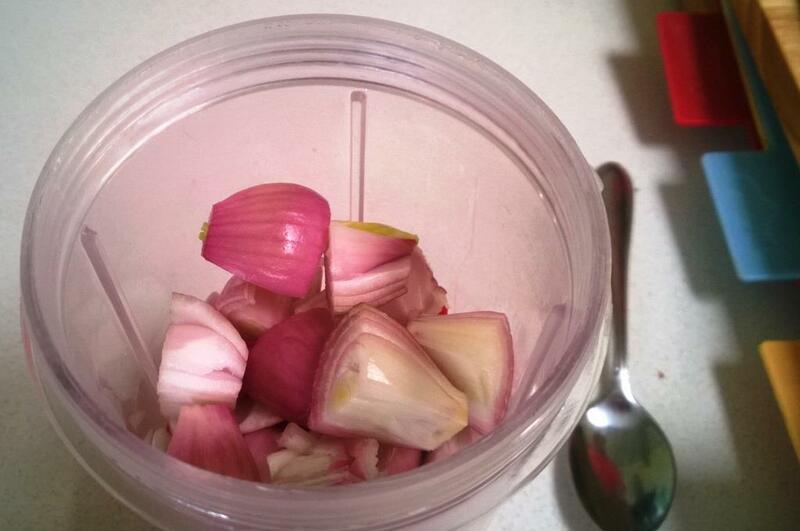 Some salt, oil, dried chillies and shallots (onions will do if you can’t get shallots). To start, if using dried chillies (We have also done a batch that substitutes a habanero for the dried chilli) soak them in boiling water, just enough to cover them. Using a teaspoon, dig out the seeds of the chilli – of course if you like the heat of them and don’t mind the bits, then leave them in. As you slide the spoon down the length of the chilli, the seeds will come out and leave lovely red flesh. 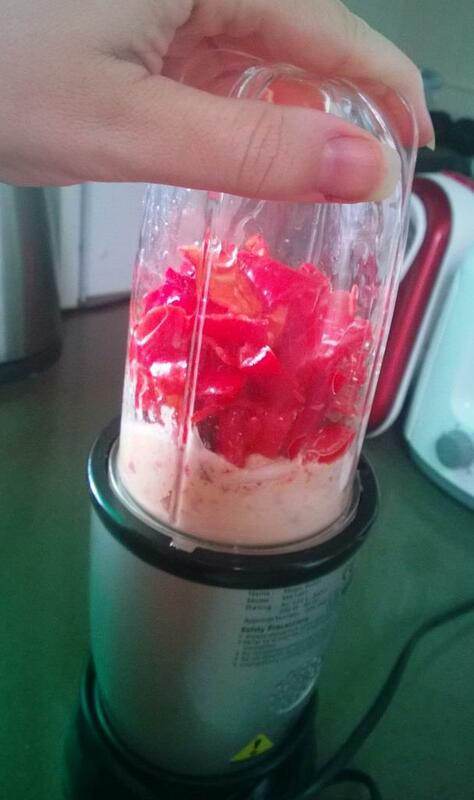 Once they are all de-seeded, roughly chop the chillies – this just make it easier to put in the blender. 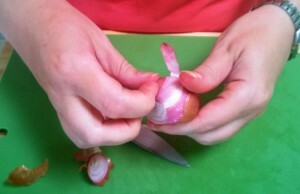 Then peel the shallots – if you can’t get these, you can use onions. Next chop the shallots roughly again. 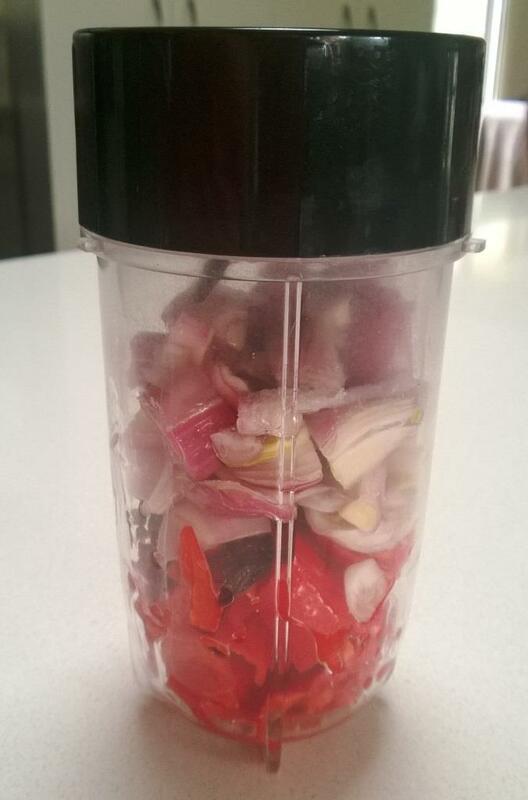 Make sure that you have some room in the blender, if it is too full it might be worth blending in batches, but mix all the batches together to get an even flavour. Next add salt to the blender,as you can see we use the low sodium salt, more because it replaces some of the sodium with potassium, than needing to reduce our sodium. 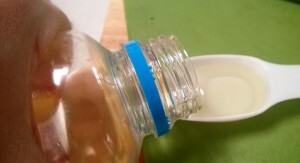 Next add the oil to the blender, you can use anything you like, here I am using peanut oil, but you can use coconut, olive or anything. Blend – you can see the bottom part starting to blend here. 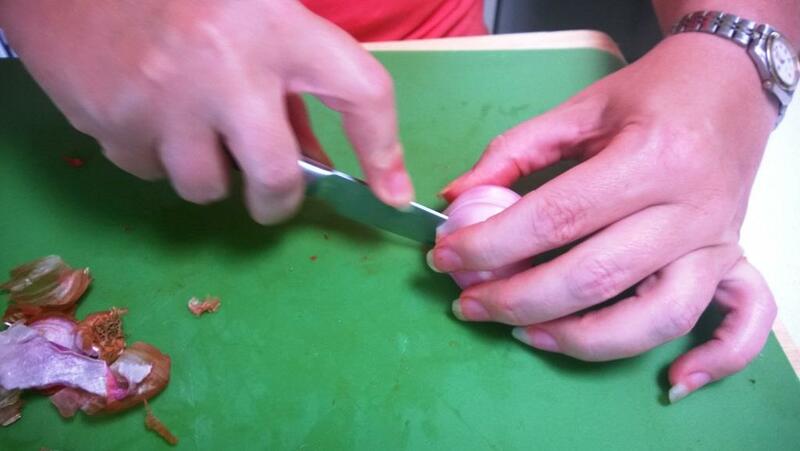 Once it is even and as smooth as possible it is done. So we then found this silicon chocolate mould, it holds about a teaspoon and a half which we have found is the right amount of heat per person for us. 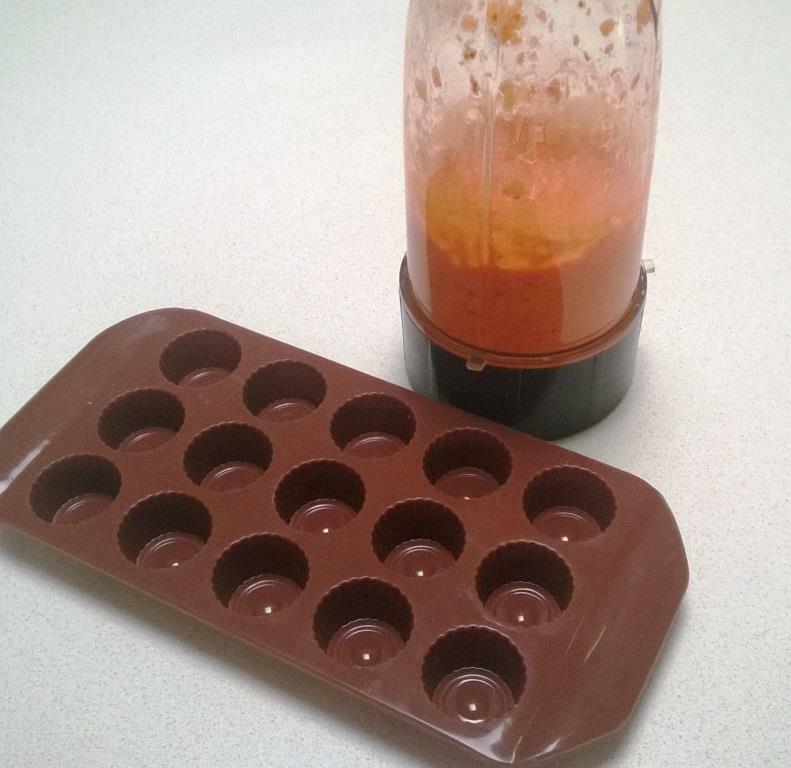 Once the tray is filled, freeze until solid. 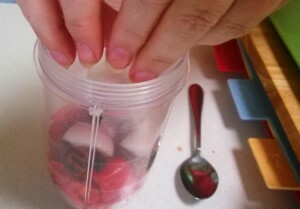 Then push them out of the moulds, put them in freezer bags marked with the date and details (So you can use old ones first). 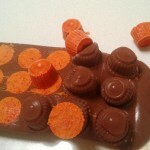 In some of our forthcoming recipes we will have these individual blocks as part of the ingredients. 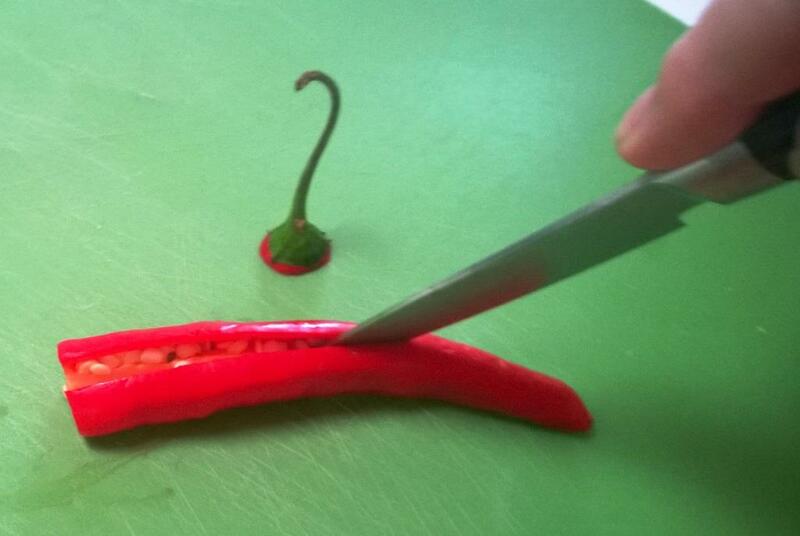 If you are not a chilli person, just leave them out. 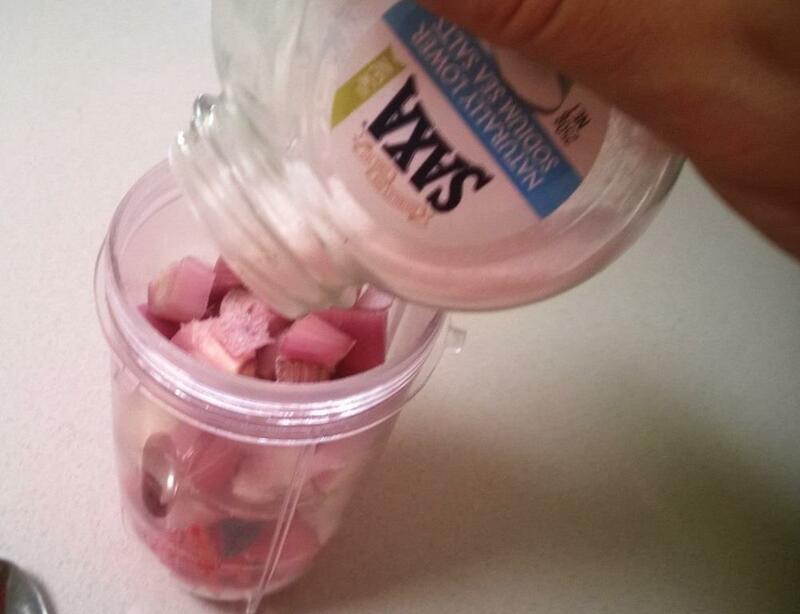 The hotter you like the more you can add. 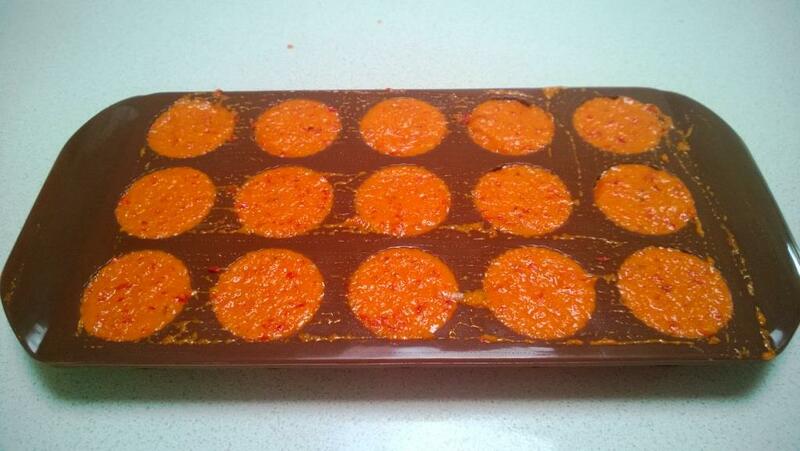 Chilli Paste - Lo-Carb Style..
Chilli Paste made with smaller amounts of high carb ingredients. Soak the dried chillies - if using - in some boiling water - just enough to cover them. 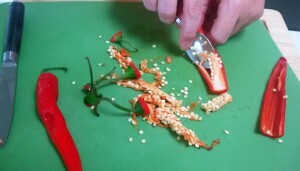 Cut the long chillies lengthways and remove the seeds, then chop roughly. 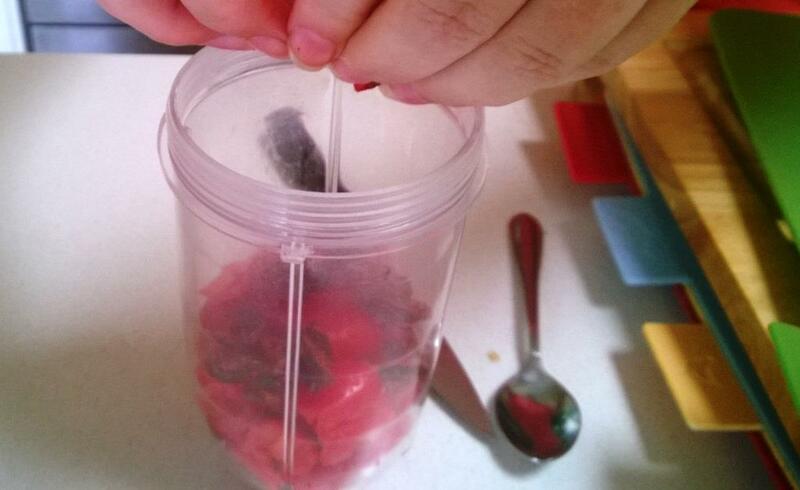 In a small blender, add all the ingredients and pulverise until as smooth as possible. 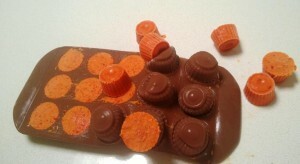 Using either a ice cube tray or a chocolate making silicon mould, add the paste to the tray or mould. In our proportions, each serving is about 1 1/2 tsp. Freeze the paste, then remove from the tray or mould and put into freezer bags marked with the date and details.